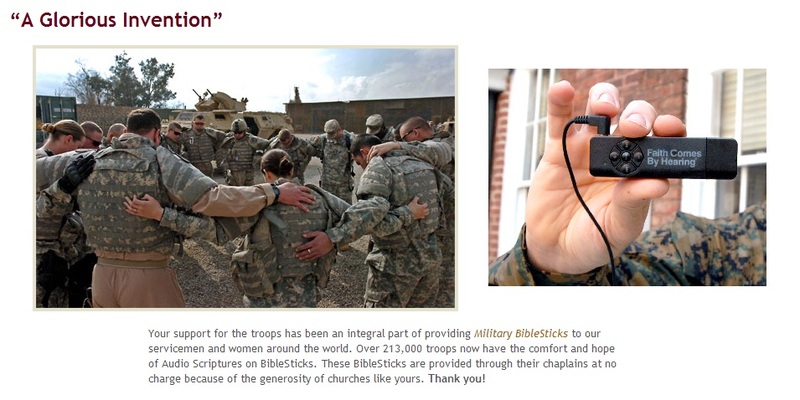 MILITARY BIBLESTICKS Praise be to God for your gifts in the amount of $275.00 to provide Military Bible Sticks to our nation’s deployed military personnel. Due to a matching grant, our gift will be doubled. We are providing a total of 22 Bible Sticks. Thanks be to God!